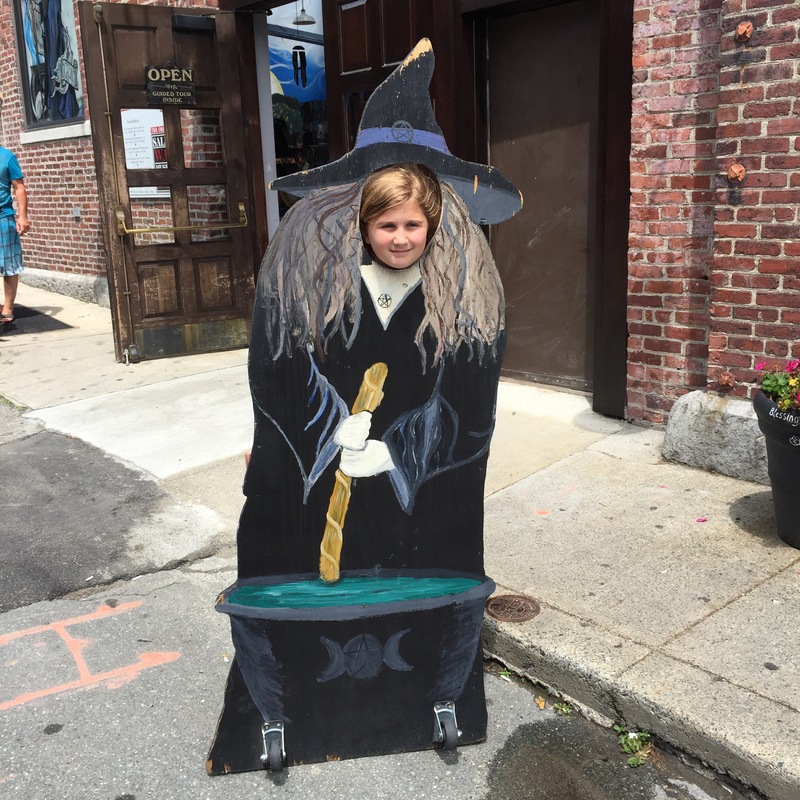 This morning we drove 15 miles north to Salem, Massachusetts. 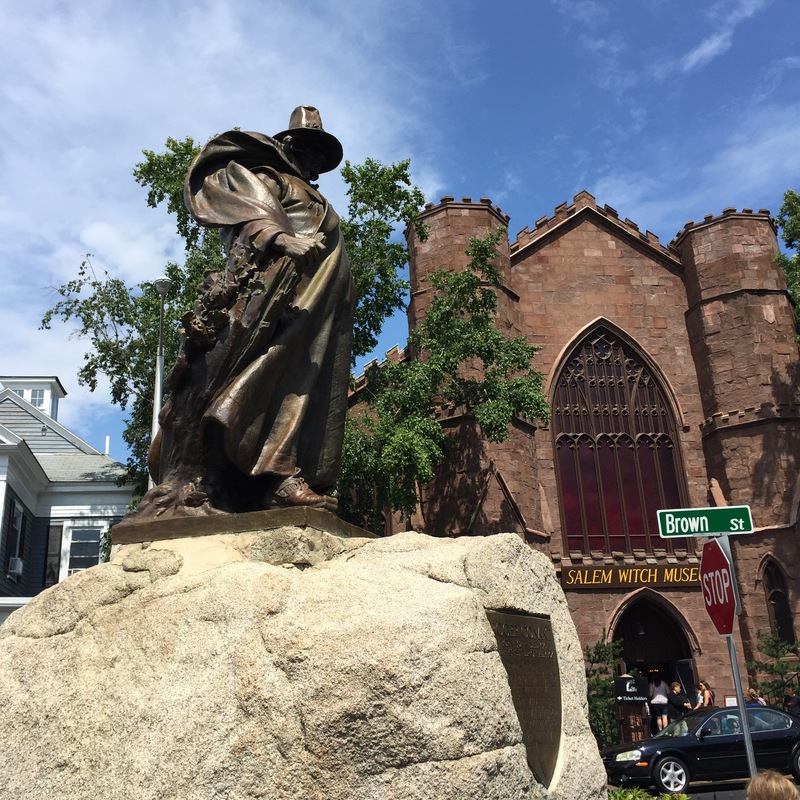 Salem is most commonly known as the location of the witch trials of 1696. To prepare for the town we started reading Witches! 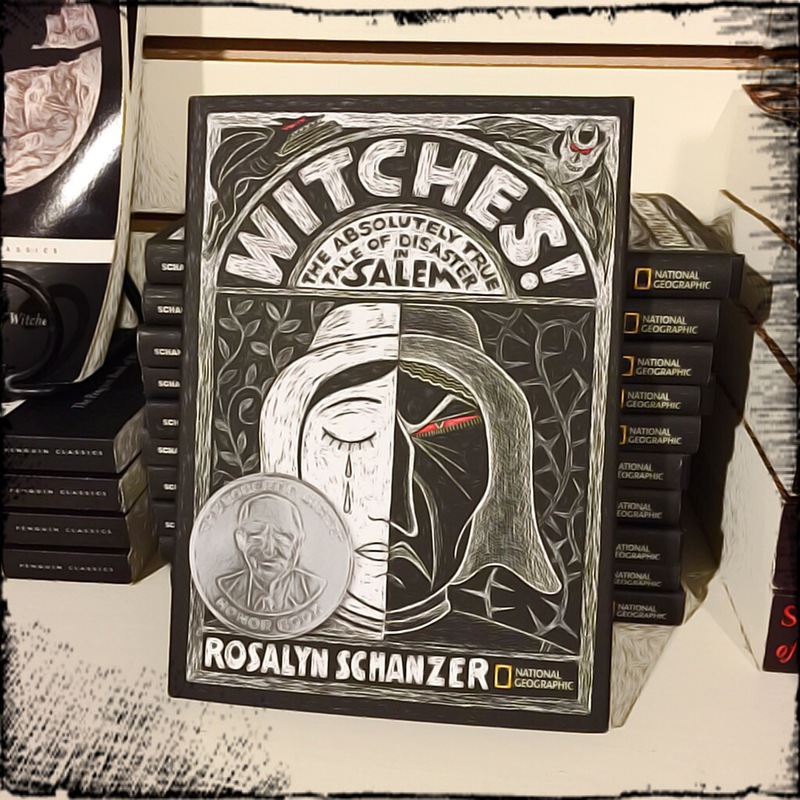 The Absolutely True Tale of Disaster in Salem by Rosalyn Schanzer. 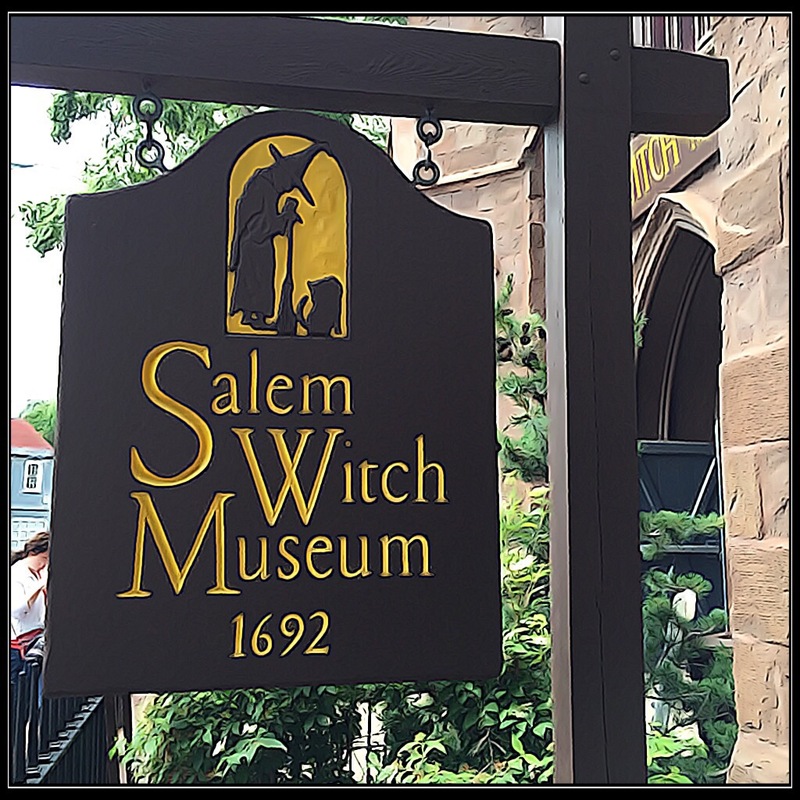 As we drove into town, we stumbled upon the Salem Witch Museum, apparently Salem’s most popular witch museum. Although it was dated, it’s mannequin-like exhibits illustrated the facts we had learned from Schanzer’s book. As we emerged from the museum, we came upon a surprise downpour. We quickly wandered through the town to find a restaurant to shelter us from the rain. After lunch, Jeff took Kiki to a haunted house (she begged to go!) while Kai and I explored further into town. 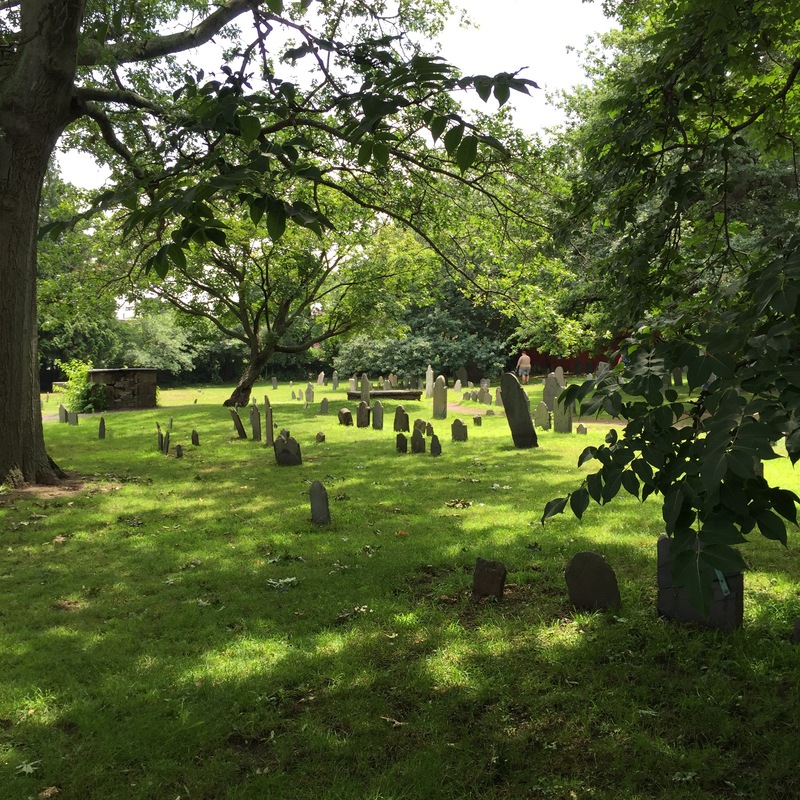 Kai and I stumbled upon the Salem Witch Trials Memorial (http://salemaward.org/swtm/about-memorial/) next to Charter Street Burying Point. 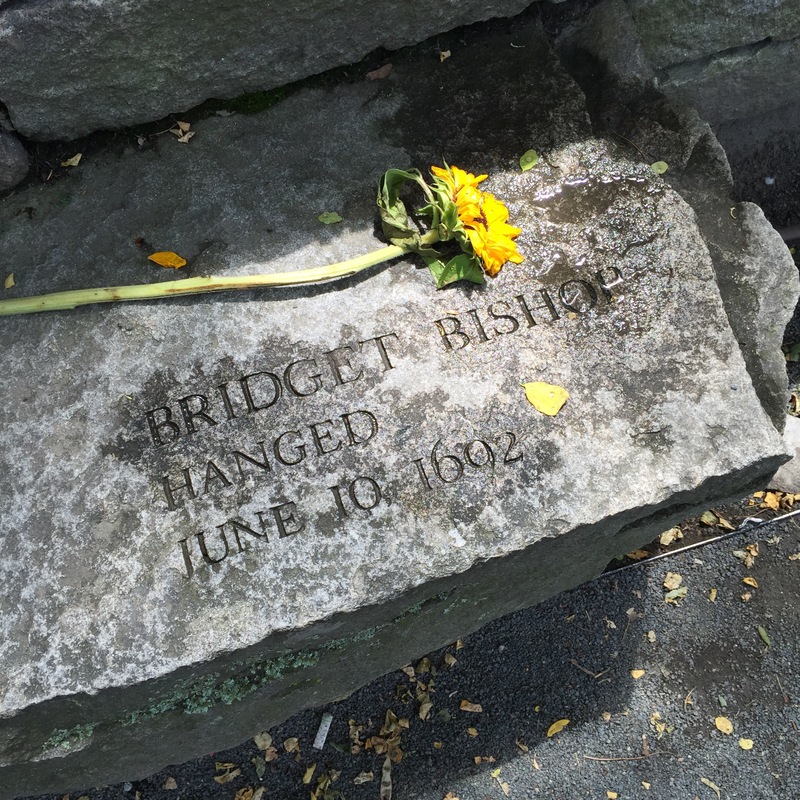 The memorial was erected to honor the 20 victims of the hysteria of this period and to remind us to not repeat the social injustices of the past. 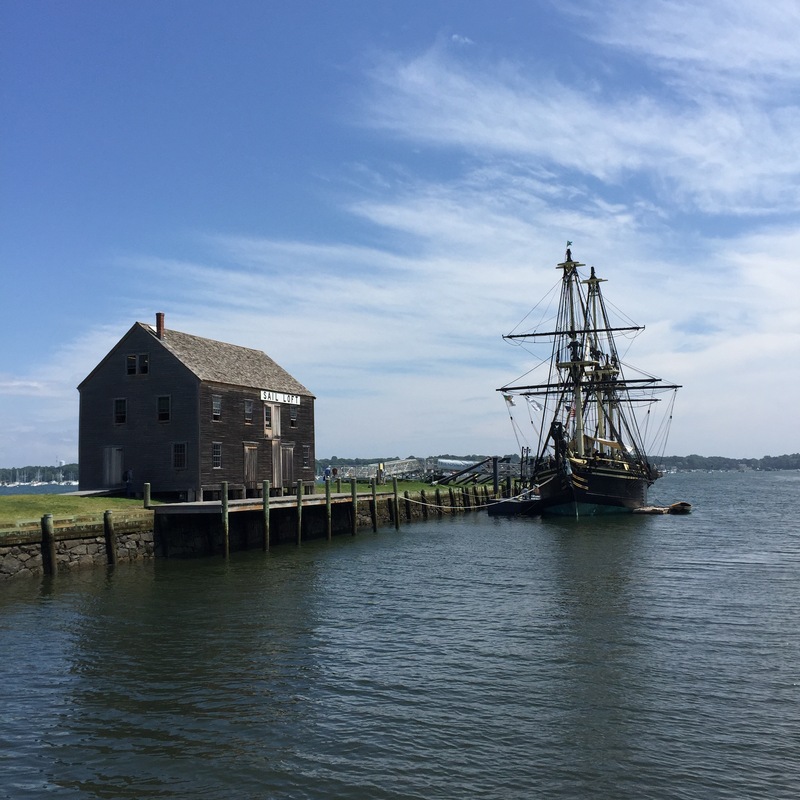 On the way out of town, we made a quick stop at the Salem maritime National Historic Site where I jumped out of the car and took a picture of the only three remaining wharves left out of the over 50 that lined the shore during the height of the shipping era. 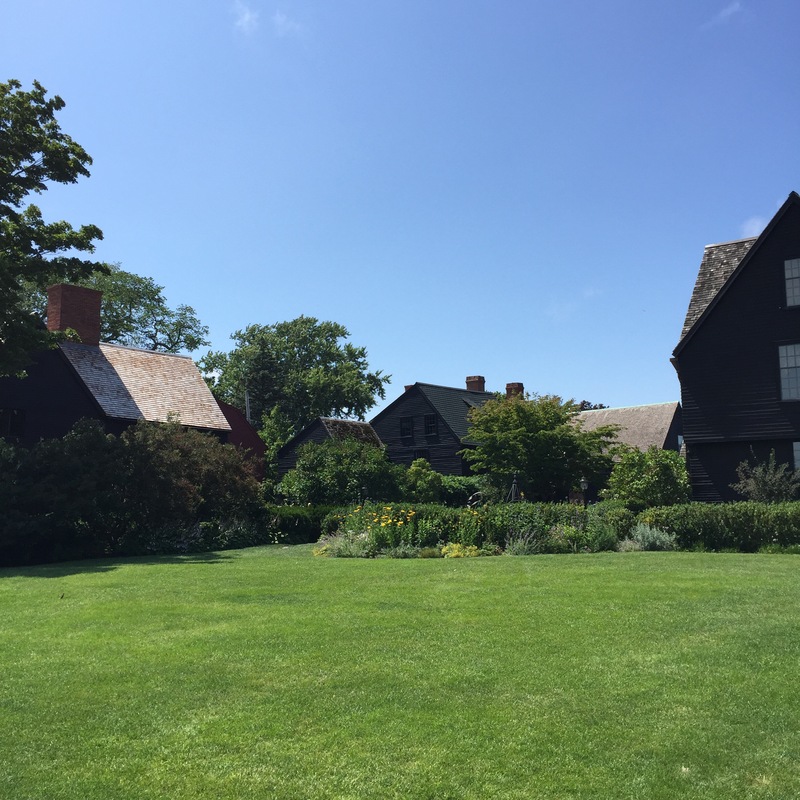 Not far down the shore we stumbled upon the House of Seven Gables, a 17th century ship captain’s home made famous by the 1851 Nathaniel Hawthorne romance novel of the same name. We skirted sound the fence and enjoyed the view from afar and then hit the road, bound for Maine. 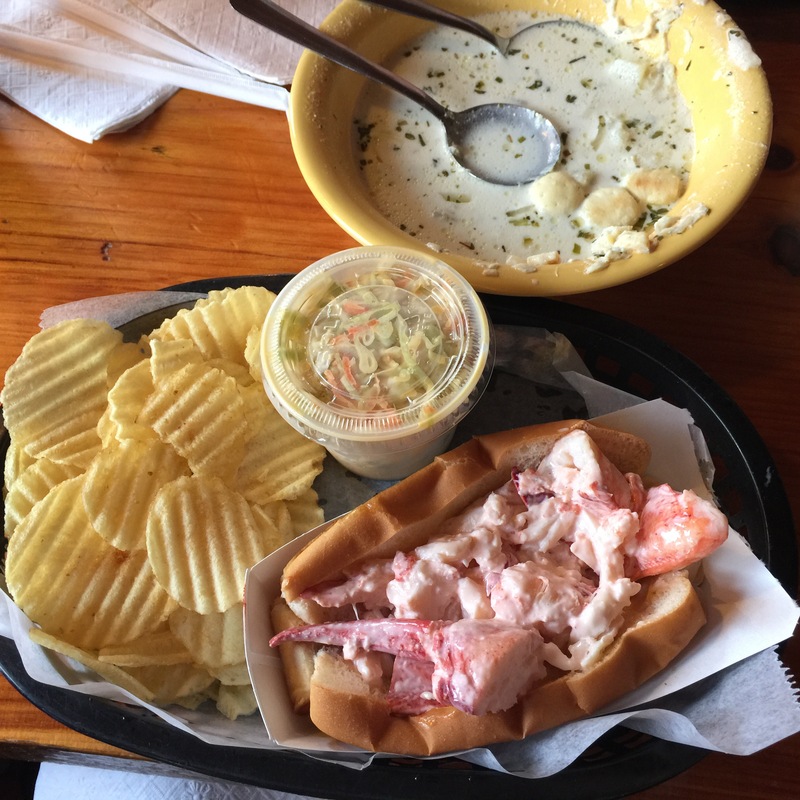 After checking into our hotel and having a quick swim in the pool, we ventured into the tiny little community of Perkins Cove to find some dinner. After filling up on lobster and chowder, we decided to take in a “cocktail cruise” on the local boat Finestkind. 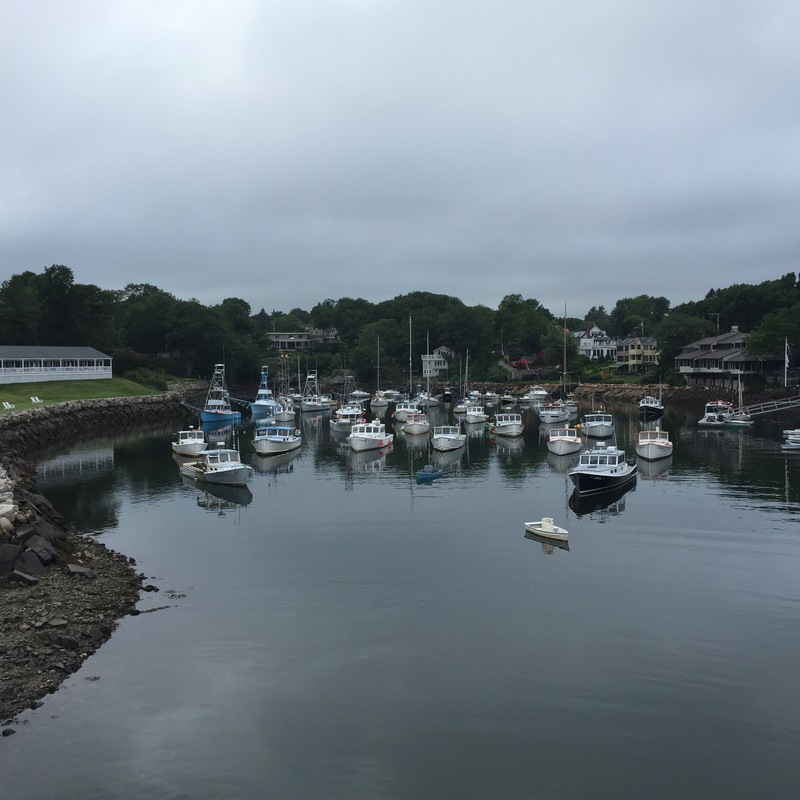 It was fabulous to cruise down the coast and look at some of the gigantic summer homes that dot the rocky Maine coast. 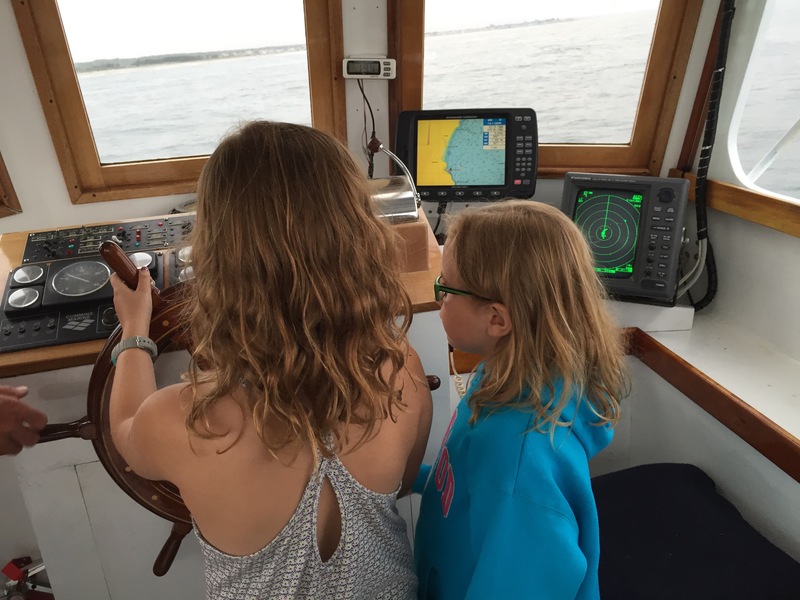 The girls got to go up to the bridge to drive the boat with the captain, while I stayed down below being reminded of how rough seas make me queasy. Luckily, I didn’t barf and we ended the day on a high note. More of Maine to come.